Driving collaboration and knowledge sharing can be a challenge within organisations. A positive digital workspace fosters employee engagement and productivity, but there are obstacles to navigate and to prepare your organisation for the change you need information, support and encouragement. Enter the Cloud Collective. The modern workspace has never been more fluid. Technology and digital environments mean greater flexibility for your workforce. An explosion of communications channels offer more options, there’s a medium for any need. Increased digital interactions translate to a greater level of accountability and it’s never been easier to collaborate instantaneously and simultaneously! Digital transformation is an executive priority across businesses. Lack of mobility adoption is seen as a business impediment. Digital workspace technologies – with vital security and identity management components – enable IT to meet executive business objectives more often. 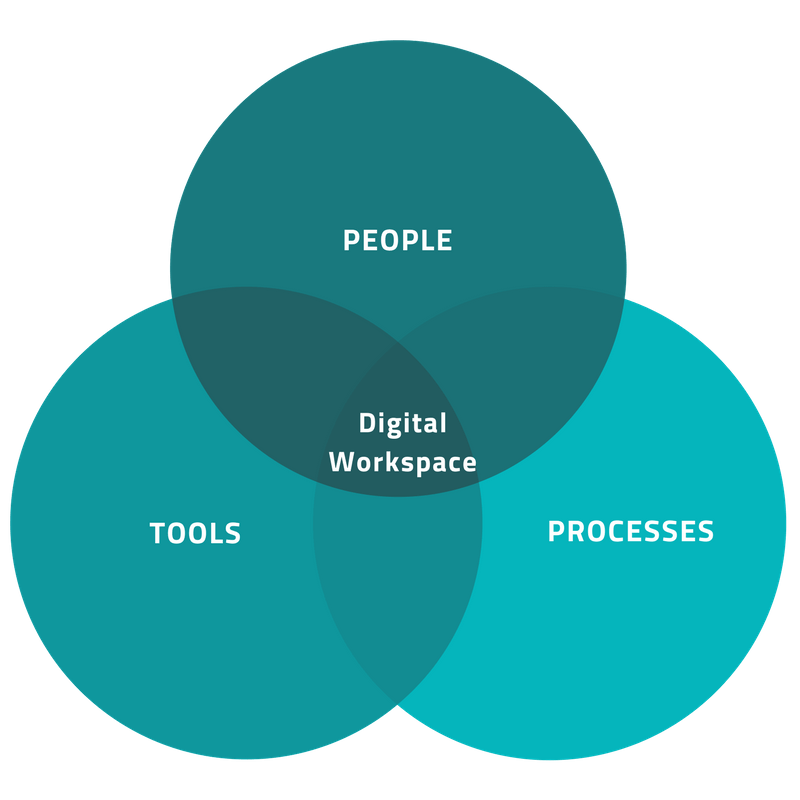 The digital workspace enables IT to meet business objectives with key technologies becoming critical to execution. Every Cloud Collective solution is designed to improve the way people work within your organisation. Our experience hits the sweet spot right where people, processes and technology meet.